The Division Tracker - The Division Stats, Leaderboards, & More! Division Tracker will be back for Division 2, with all new, all upgraded site. Get your body ready! Thank you for your support and see you in March! Experiencing your Rogue Kills being rolled back or decreasing? So are many others. Here is a thread about it on reddit.. We just consume the data, the issue is on massive/uplay end. Please open a support ticket with them! Our green sign-in with steam was down, apologies about that. Should be back to working! We released an Overwatch site! Play Overwatch? Need a Tracker? We got you covered. 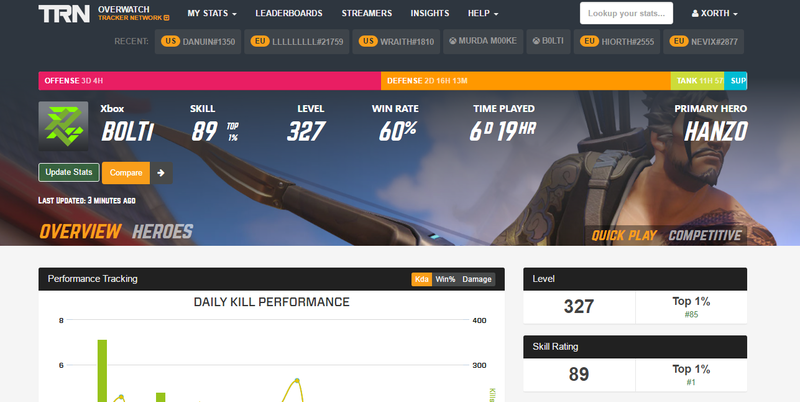 We have released Overwatch Tracker with Stat profiles, Leaderboards & more to come.